Oh my. That’s all I really need to say. Mix or whip all the pumpkin butter ingredients. Scramble the eggs with the half and half, pumpkin, vanilla, cinnamon and salt. Dip in your bread in on both sides and add to the heated skillet. Cook until the middle is mostly cooked, then flip for a few more minutes. 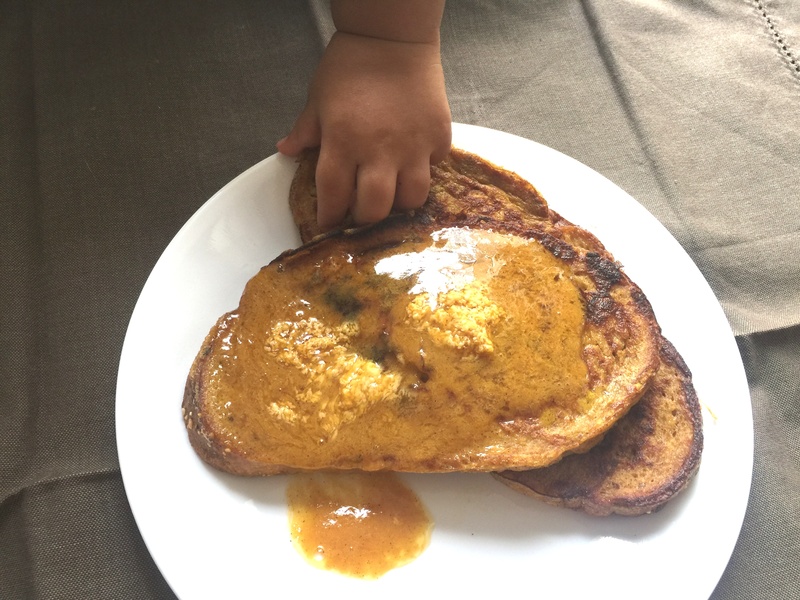 Top your yummy, pumpkiny french toast with lots of yummy buttery maple pumpkiny butter!